King of Joy Christmas Album is Here! The Christmas Season is almost here and along with it, the beautiful music and carols we all love! Stringsong’s King of Joy Christmas album of 12 instrumental selections to celebrate the Christ child, in various musical styles, will add a fresh new touch to your Christmas season! Now available for purchase: $15.00 each – if you buy 10 or more, they are $12.00 each. We are also offering a combo pack including the King of Joy CD, the King of Love CD plus the King of Love Devotional Companion all for $25.00. That’s basically getting the devotional for free! If you live in the Lansing, IL area, you can email us at stringsong@stringsongarts.com and we will make arrangements to deliver. If you’re not in this area–no problem! Email us your order request and we’ll respond right away to fulfill it. Pre-Order “King of Joy” through June 14! 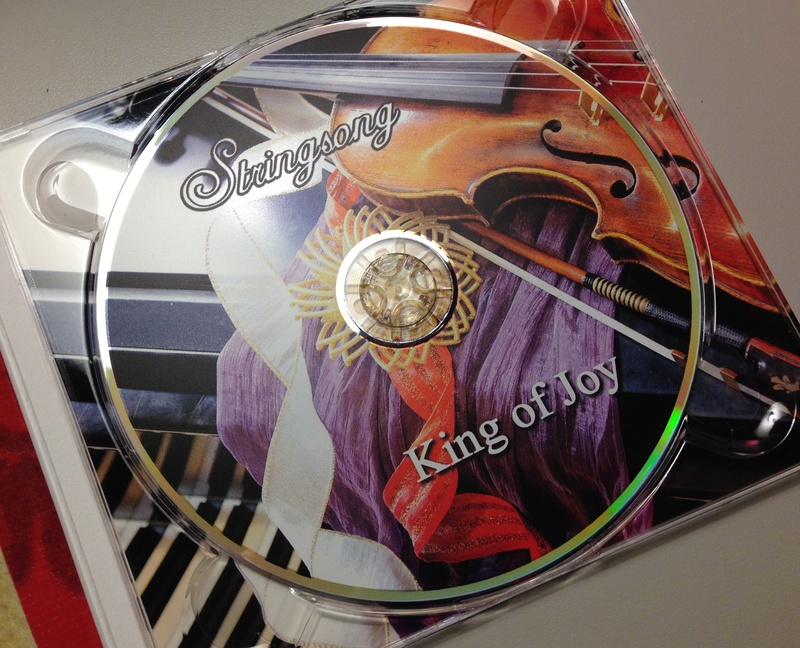 Stringsong King of Joy Christmas Pre-Order Offer through June 14! We invite you to pre-order Stringsong’s King of Joy Christmas album (12 brand new takes on Christmas classics!) for $10 (savings of 33% – it will be $15 upon release). And if you pre-order King of Joy, get the King of Love CD/Devotional Guide combo pack for $10 (reg. $14). That’s right, both for $20! 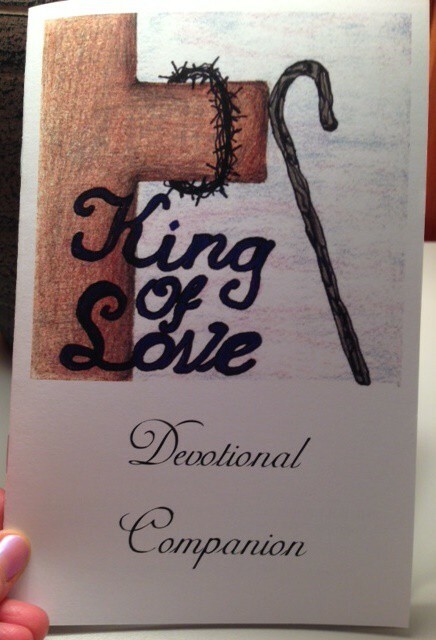 The King of Love CD/Devotional Guide makes a great Father’s Day gift—and don’t forget about Christmas gifts, stocking stuffers, and having brand new music for the Christmas season. It’s right around the corner! 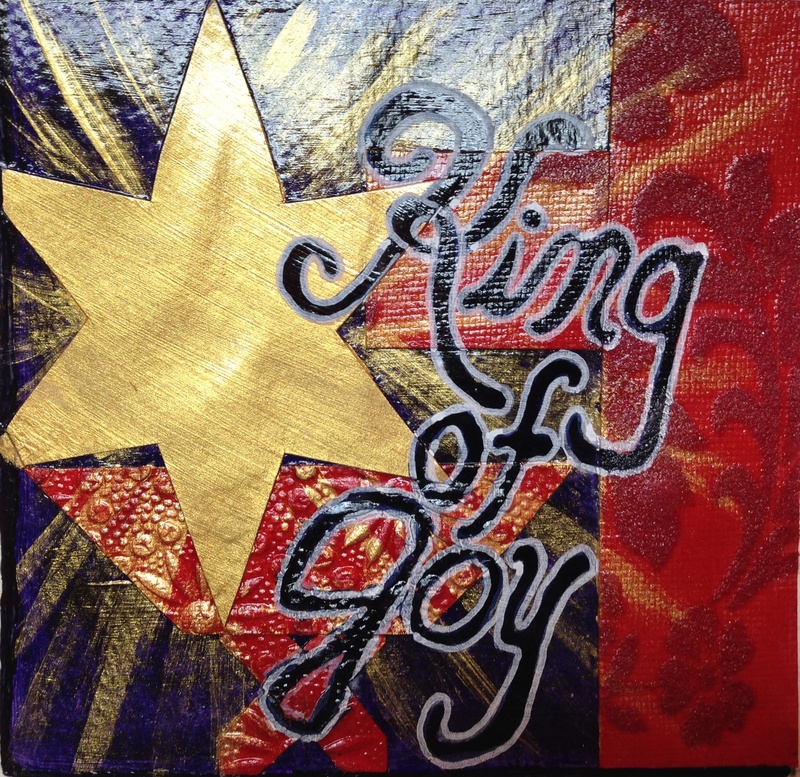 King of Joy will be released at a special, all-are-welcome, evening celebration event on Thursday, November 12, 2015 at the Lansing Country Club. Along with the debut of the live Vespers, the Devotional Companion was released! 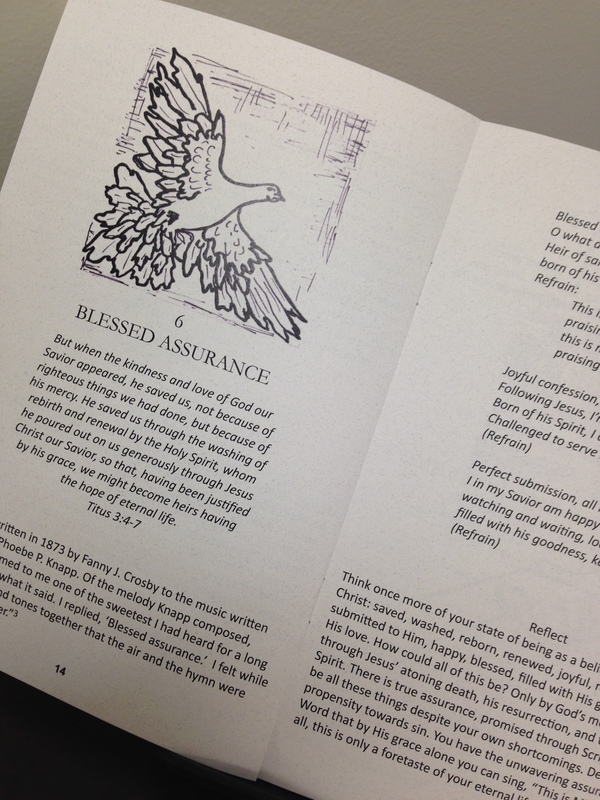 This 26 page booklet following the 9 King of Love CD selections provides Scripture, artwork, the lyrics for the hymns, reflections, and prayers for each selection. 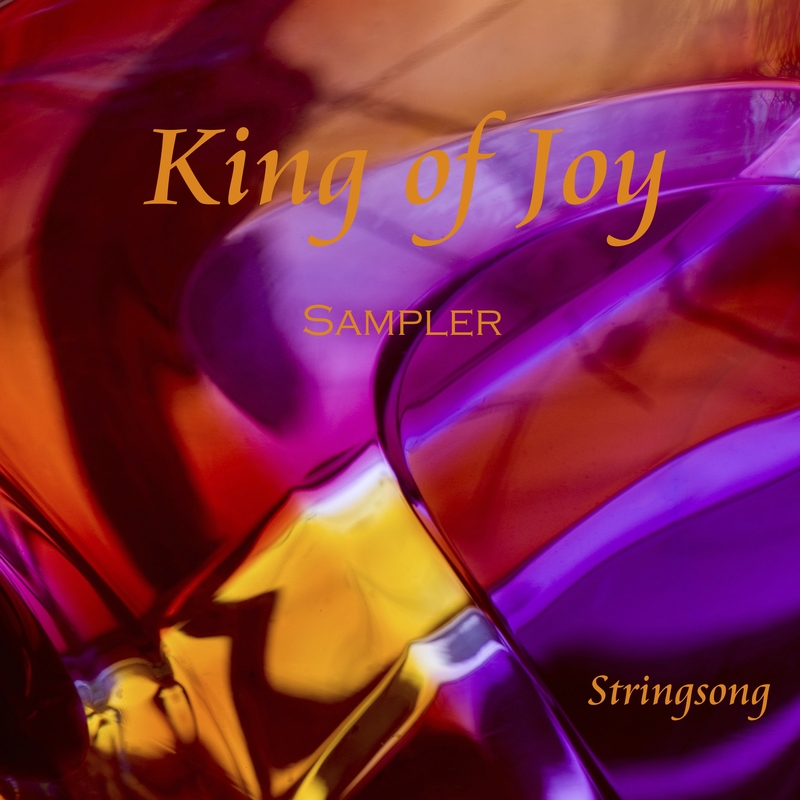 King of Joy Sampler Released! The King of Joy Sampler is NOW available on iTunes, Amazon, and Spotify! Five soulful selections offering a fresh approach to traditional Christmas tunes, King of Joy Sampler also includes an original arrangement of I Wonder as I Wander. Just in time for the Christmas season!